Adam Horowitz, a.k.a. 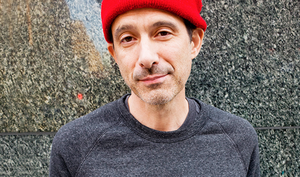 Beastie Boy DJ Ad-Rock is launching his own line of runners early next year. 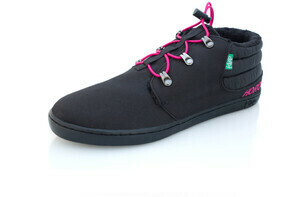 Made with nylon cordura — a vegan water-resistant material — the “Keep x Ad-Rock Ramos” shoes feature a midtop design, vegan shearling lining, synthetic down stuffing, and are embroidered with Ad-Rock’s name in magenta. All profits made from the sneaker will be donated to health care organization Planned Parenthood. “Net proceeds of this shoe will be donated to Planned Parenthood because I support a woman’s right to choose, and feel that women should not be punished for making decisions about their own lives and bodies,” Ad Rock says. Available for pre-order for $97. Perfect to accompany your REPEAL jumper. Posted in Design and tagged Ad-Rock, Beastie Boy, Repeal at 4:35 pm on November 30, 2016 by Broadsheet. Wow. I thought he was dead. No thanks, apart from the fact that it looks like Kanye’s, I don’t want to feel I need to consider politics when buying my footwear. wow. such hero. so rebel. such pillar of inspiration. not obliged to like them at all – they’re not to my taste – but it’s a bit silly to avoid something altogether just because they help someone and you only want to enjoy your consumer product without helpful side effects. eugh. I despise every person that has worn a repeal jumper. Ah yes Jocky, but what if it was a pregnant woman wearing the jumper? Yes. Ditto for anyone that wears political slogans as casual dress. …speaking of The Beastie Boys…. I’m off now to see Primal Scream in The Olympia Theatre with Japanese Psychedelic Acid Noise-rock merchants Bo Ningen playing support. I believe there’s still tickets available for the upper-circle if you’re quick. €35. Vegan √ Feminist √ But are they biodegradable?